Did you know that many people wear two socks under their boots? And they would never give up the extra comfort it provides. With the Wigwam F2153 051 White Gobi Liner, you can wear it under a great Wigwam sock for extra dryness, extra comfort, and they'll fit-well, ... (see full details) (see specifications) #WGWF2153-051. Did you know that many people wear two socks under their boots? And they would never give up the extra comfort it provides. With the Wigwam F2153 051 White Gobi Liner, you can wear it under a great Wigwam sock for extra dryness, extra comfort, and they'll fit-well, like a glove! This Wigwam F2153 051 White Gobi Liner is made from 100% polypropylene. It has a 1x1 stay-up true rib leg with 2 inches of spandex at the top. This 15 1/2-inch sock has a smooth loped toe seam that is sewn in such a way as to reduce bulk. This helps the liner and a sock fit together like skin. More than just another layer of sock, liners can move moisture faster-and keep your feet drier than without a liner. Made in the USA, Wigwam does it again. Wigwam F2153 051 White Gobi Liners make for such a comfortable combination with a good Wigwam sock, that people swear by it! And where do you go to find sock liners this nice? 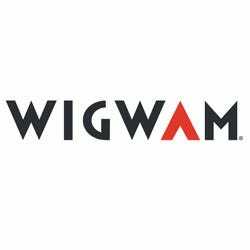 Wigwam and the Working Person's Store, where you will always find the lowest price! They are fantastic with my other wigwam socks when I go hunting or other stuff. Nice that they make a blue liner for us guys who wear dress socks but like the liner. Wigwam Socks: White Gobi Liner F2153 051 is being added to your cart.